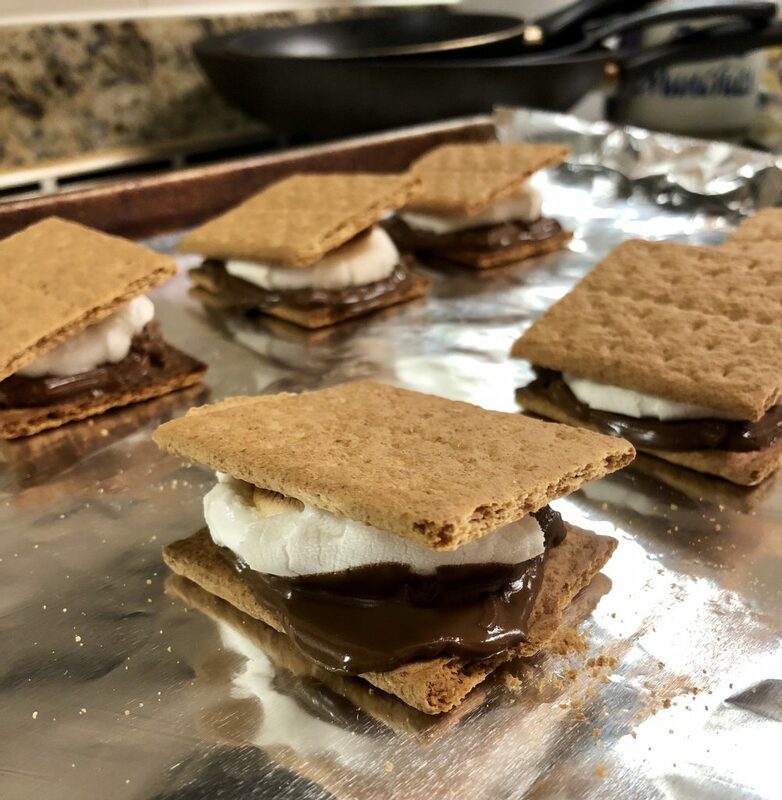 These couldn’t be simpler to make and I love that you can make them just for you or easily for a crowd. 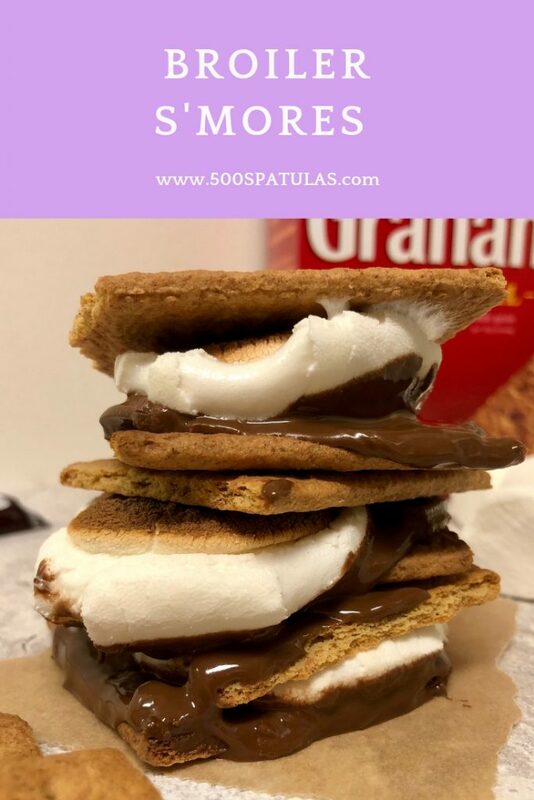 Lay out graham crackers, followed by chocolate, then marshmallows. Put the tray under the broiler for approximately 40 seconds or until browned to your liking. NOTE: Keep an eye on these! They turn in a second. 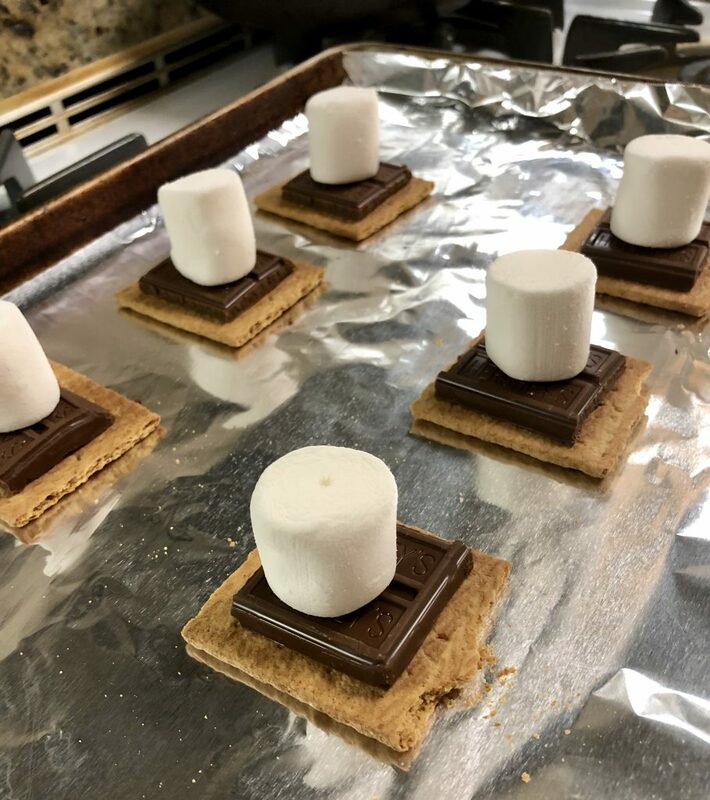 Remove from oven and add any other toppings you with to include, and a graham cracker top, and smush into gooey perfection. 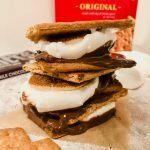 Broiler S’Mores all year long! Preheat the broiler on High. Line a cookie sheet with aluminum foil. NOTE: Do not use parchment paper under the broiler, it may catch on fire. Put the tray under the broiler for approximately 40 seconds or until browned to your liking. NOTE: Keep an eye on these! They turn in a second. 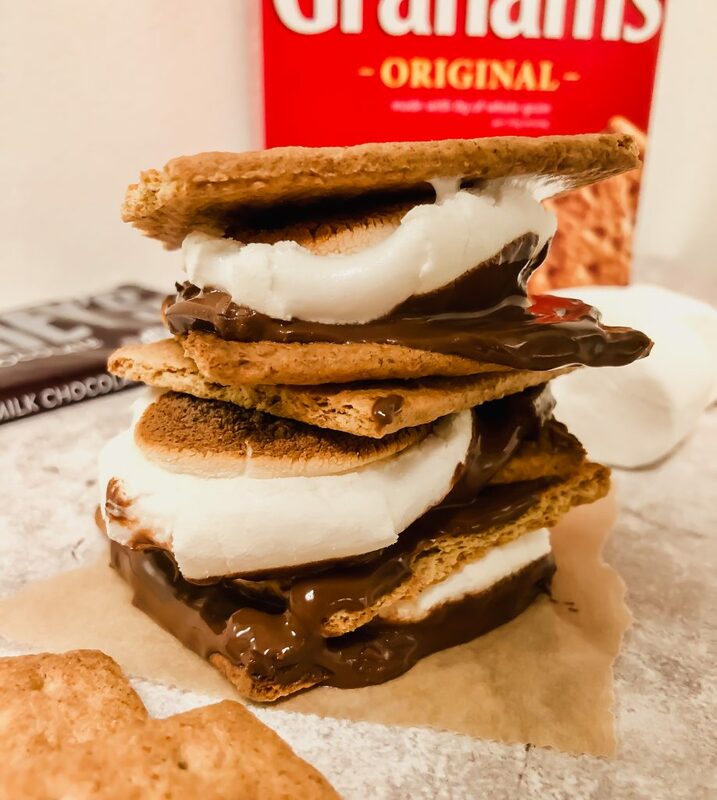 Remove from oven and add any other toppings you wish to include, and a graham cracker top, and smush into gooey perfection.